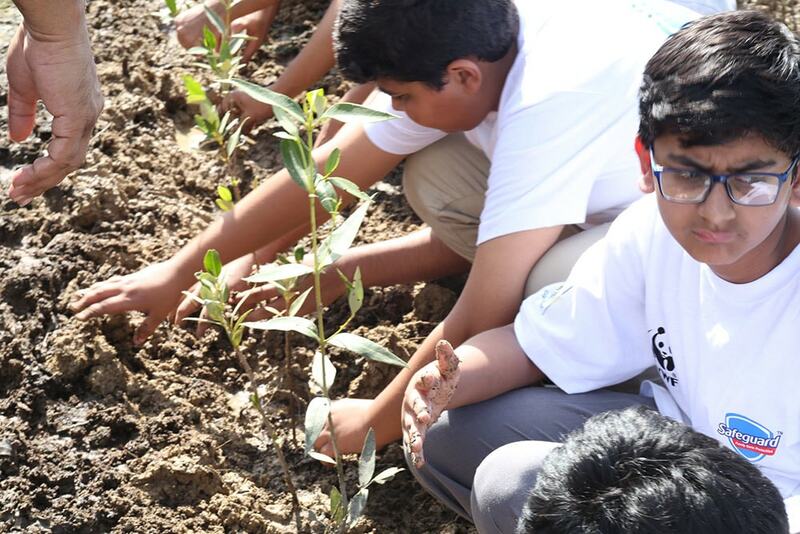 Safeguard partnered with WWF Pakistan to teach the importance of planting trees to young kids. Pakistan is one of the seven countries most affected by global warming and climate change. 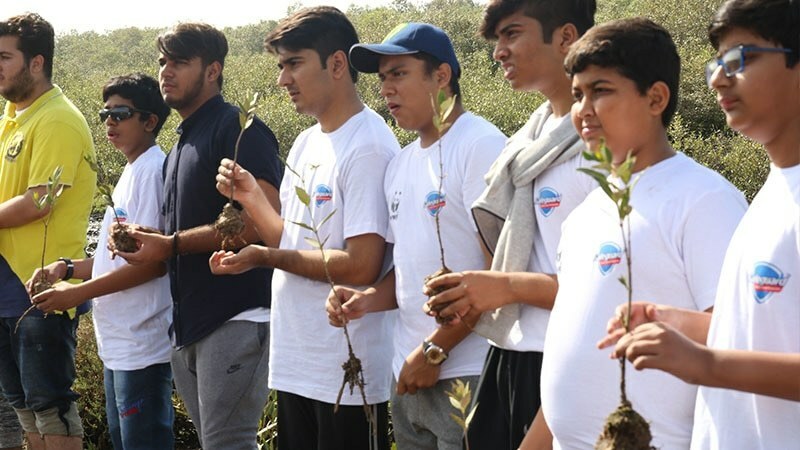 In an effort to preserve the environment and reduce the adverse effects of global warming, Safeguard partnered with WWF Pakistan and arranged a tree plantation drive in Karachi for the students of The City School. 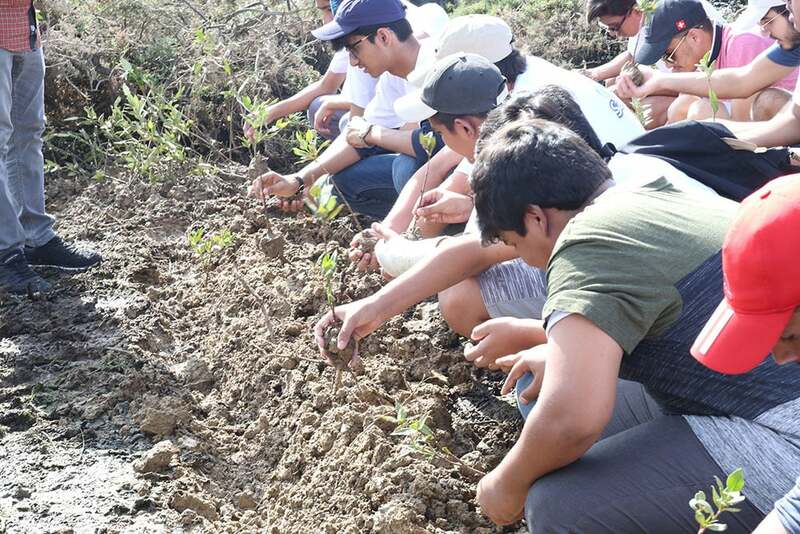 A total of 1,100 trees were planted by 100+ students during a recent activity at Karachi's Hawkesbay. Tree plantation can be a messy activity, but Safeguard's army made sure that kids wash their hands after so they are safe from germs. Safeguard is playing an important role in saving the future of our coming generations. The brand has been leading its health and hygiene mission since the past 20 years by educating kids in schools about the importance of healthy hygiene habits. 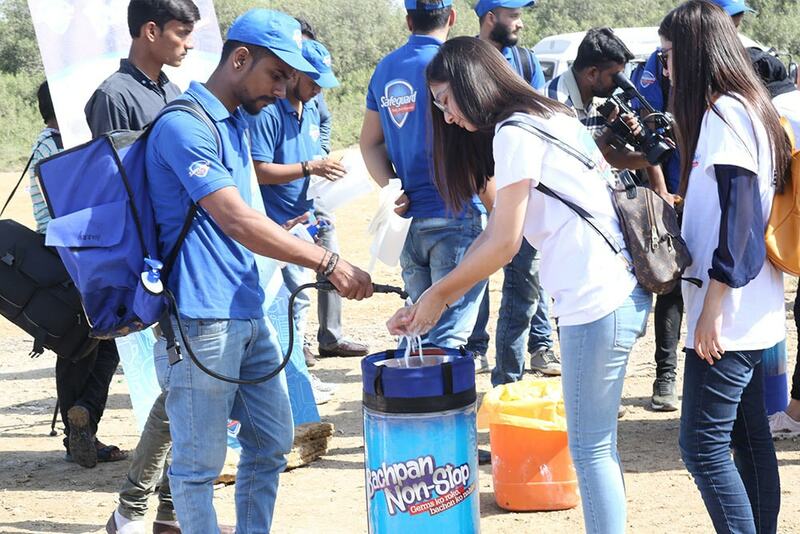 This year, Safeguard has taken up the additional responsibility of not just teaching kids the importance of good hygiene, but also giving them an experiential learning experience on how to take care of their environment. Even one small sapling can go a long way in improving the air quality and preserving the environment. Safeguard is encouraging mothers and kids to join in, and play their part by planting at least one small tree in their gardens. But don't forget to wash hands afterwards! Safeguard provides non-stop protection against germs for up to 12 hours so kids can take care of the environment while Safeguard takes care of the germs. This content is a paid advertisement by Safeguard and is not associated with or necessarily reflective of the views of Images and Dawn.com and its editorial staff. These are encouraging signs for our beloved country ! It is heartening to see everyone participating to make Pakistan 'great'! A dedicated tree planting campaign is the absolute need for the country's green future. Who'll see to the maintenance, watering and care of the saplings/ seeds planted? Pakistan as a society will make great strides in improving the environment if major bussinesses followed the lead of Safeguard. You don't really need Safeguard to plant trees, just wash hands with the sea water which will probably kill more germs than Safeguard. These r eleite kids photo shoot. See above photo. Almost all kids have not held soil saving root but just stem and almost all roots soil lump is destroyed. These kids cant even touch soil as their hands get dirty... We need to change mindset of all kids that nation comes from hardwork be it india or pak. These kids feel ashamed to get hands dirty is soil due to vad teachings they get at home. @ENGR Hamid Shafiq good joke which plant is dangerous. Good to see some constructive activities in our younger generation..., instead of watching lousy Hollywood or Bollywood ..time wasting movies..., or busy with textings. It will also; be a good idea if some professionals gardeners got involved and planted Neem and Berry , Coconut & other Fruits trees as well. Many poor people could benefit from trees. Good but it is delayed. @Iftikhar Khan agreed !! and also if they start putting fruit trees that can be helpful in long run.